For the third year in a row, we've won Somerset County's "Best of the Best" in 2 categories: Best Art Gallery & Best Antique Shop! 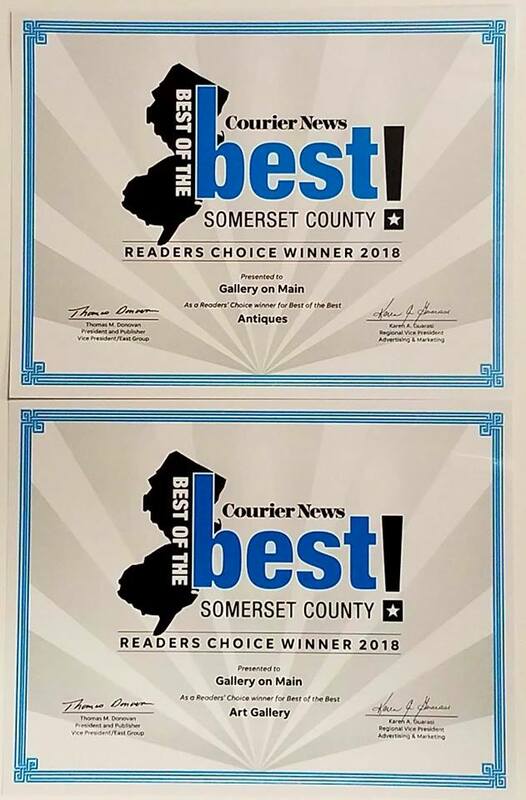 The OFFICIAL List has been Announced: Gallery On Main in Somerville, is honored to announce that for the third consecutive year we were selected by Courier-News readers as THE BEST OF THE BEST for 2018 in two categories: BEST ART GALLERY and BEST ANTIQUE SHOP. A huge THANK YOU to EVERYONE who voted to give us this honor!